When Jesus was asked to sum up everything into one command, He said to love God with everything you have and to love your neighbor as yourself. Many of us have turned that simple idea into a nice saying without actually putting it into practice. 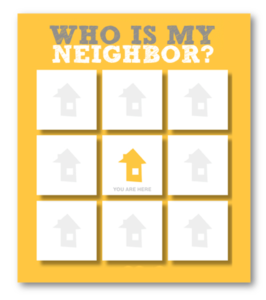 It’s easy to make a blanket statement and say “I love my neighbor” when we are not thinking about specific people or how we will show love to them. 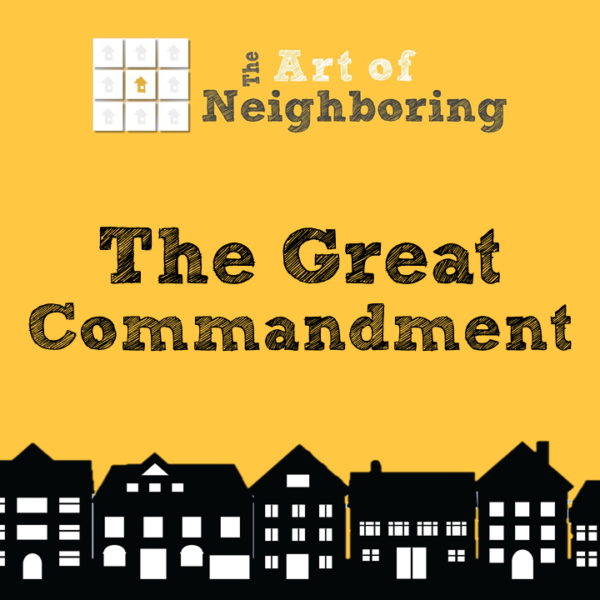 We will look at what it means to take the Great Commandment literally, how to overcome the time barrier, and how to deal with the fear factor. Join us in building genuine relationships right outside your own front door. You can download and print your own neighborhood MAP. See if you can fill in the names of your closest eight neighbors. And then start getting to know them better. Pray that God will give you a greater to desire to know and build relationships with your immediate neighbors.